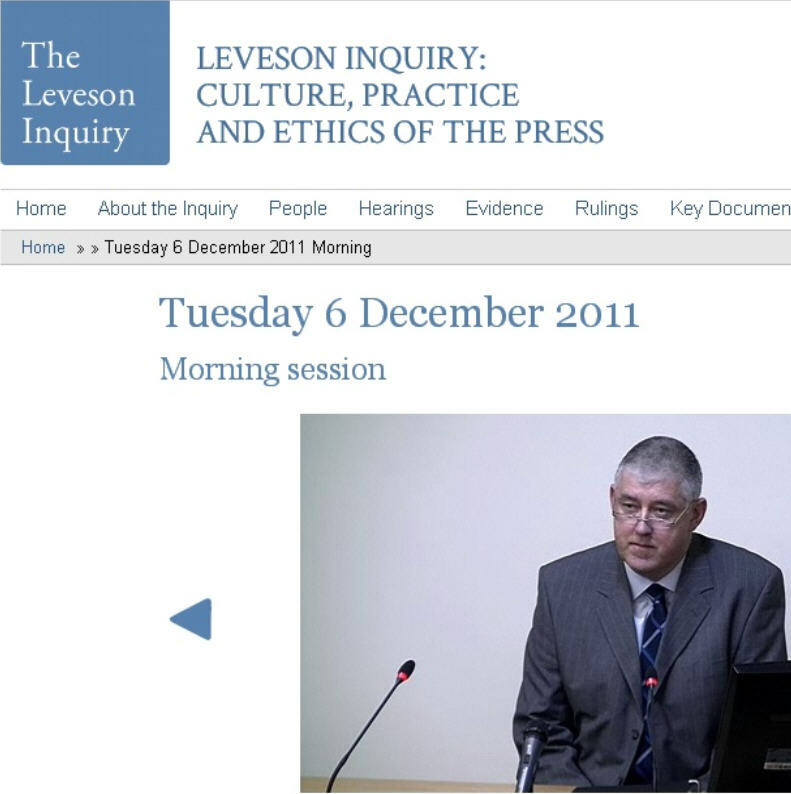 I appeared at The Leveson Inquiry on 6th December 2011. Why did everyone ignore my fears of a phone hacking future. 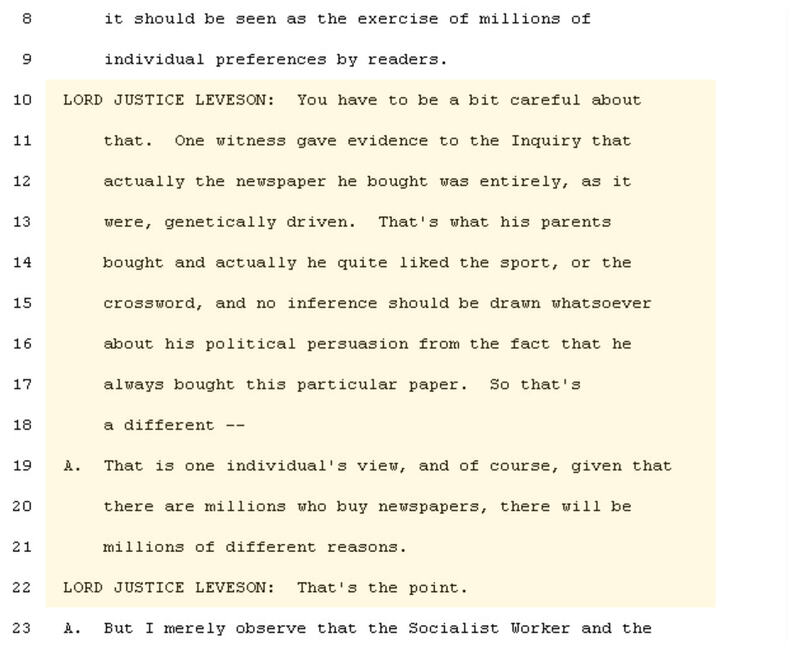 I appeared at The Leveson inquiry with details about a 13 year cover up, between the mobile networks, the tabloids and the authorities. This was on December 6th 2011 at 10:00am. I am also a witness for the Metropolitan police investigation 'Operation Weeting'. For years I thought it was my fault the newspapers knew about phone hacking and for years I've carried a heavy guilt and yes, I was very naive. I don't know when it all started but one thing I do know is....I tried to stop it when many other's didn't want it exposing. LORD JUSTICE LEVESON: "Thank you, Mr Nott. It's quite clear this was a problem you identified in the late 1990s and it's now come home for us all to think about." This video of Piers Morgan shows him insulting my character on the 20th December 2011, when he gave his testimony. He was responsible for the Daily Mirror as Editor and had no obvious control over what his staff were doing or he knew phone hacking was going on. Piers Morgan denies this. Lying or not, I know he's definitely very rude. I have had a few mentions at the Leveson Inquiry and will be adding them all to this site in due course. That will be when the Inquiry has completed and LJ Leveson has made recomendations to the Prime Minister, David Cameron. 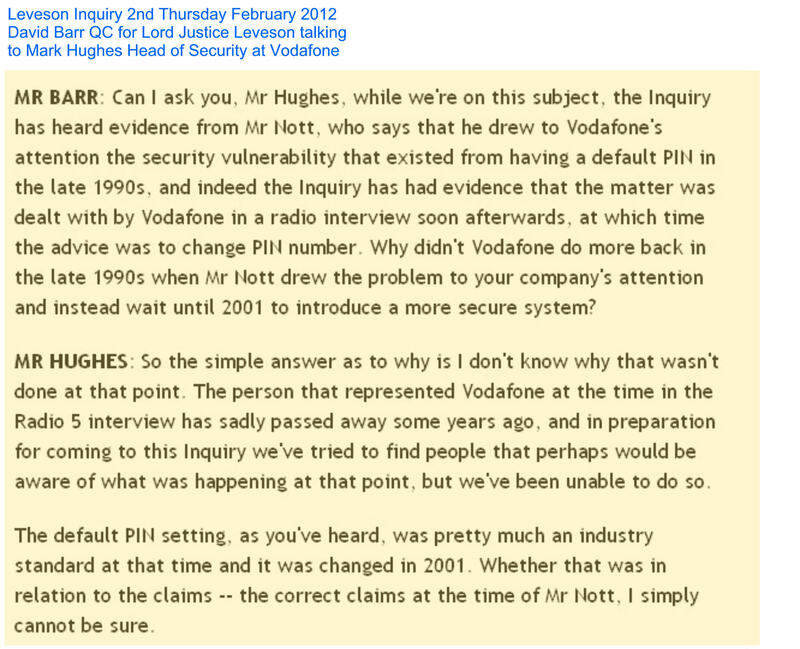 Vodafone appeared at the Leveson inquiry along with other network operators and the video link to that morning's testimony is below where you can hear Mark Hughes, Head of Security at Vodafone saying "they don't know why they didn't do anything" after my warnings 13 years ago. My name is Steven Nott, I am a 44 year old family man and delivery driver. 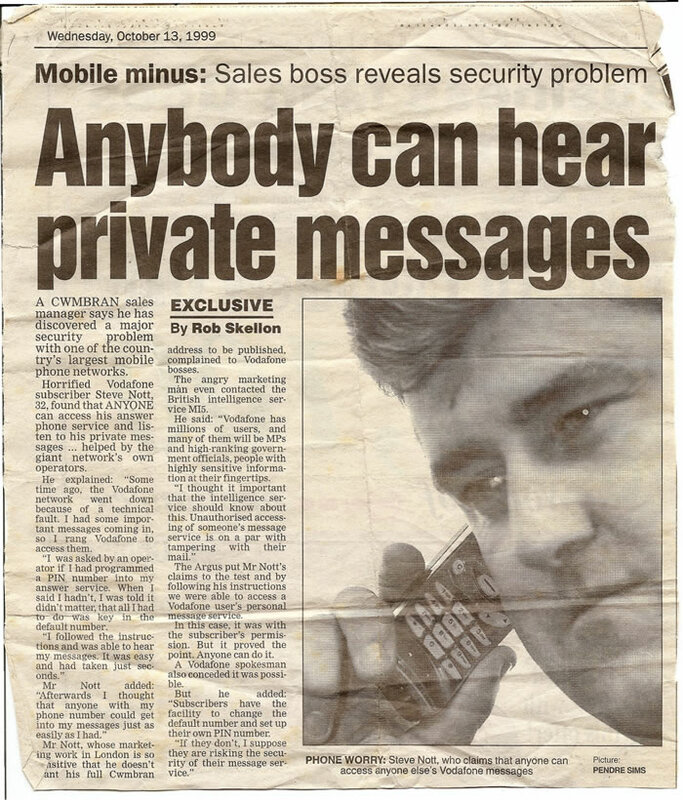 Below is an article from the South Wales Argus dated 13th October 1999 which shows how I tried to raise the alarm to the British authorites about the possible interception of voicemail otherwise known as phone hacking. The article came out after a long campaign to make everyone aware of the insecure Voicemail system on the Vodafone Recall service. Because of Vodafone's lack of care towards customer safety, I took my story to the Daily Mirror, when Piers Morgan was Editor, to name and shame them. Things didn't go quite to plan because The Daily Mirror, after much excitement, decided not to print the story even though they said it was going to be the biggest that decade. I then went to their rival newspaper The Sun, in Wapping at the News International HQ and asked for help to expose Vodafone and also The Daily Mirror. It was a catastrophic decision to show the newspapers about phone hacking but the public needed warning. I informed New Scotland Yard, Security Services, Home Office, The DTI and my MP about my concerns and never had any help from them. What was I supposed to do ?. This was all in 1999 and my full story is documented below. Please bear in mind when reading this, I was trying to raise the alarm to the serious implications about voicemail interception back then and if Vodafone hadn't tried to wriggle out of it saying 'change your PIN' every time, then perhaps we wouldn't be where we are today. What would you do if you discovered a security risk that was a national threat ? I had to do something. It was my civic duty. Mobile Minus : Sales boss reveals security problem. A Cwmbran sales manager says he has discovered a major security problem with one of the country's largest mobile phone networks.Horrified Vodafone subscriber Steve Nott, 32, found the ANYONE can access his answer phone service and listen to his private messages....helped by the giant network's own operators. He explained " Some time ago, the Vodafone network went down because of a technical fault. I had some important messages coming in, so I rang Vodafone to access them. "I was asked by an operator if I had programmed a PIN number into my answer service. When I said hadn't, I was told it didn't matter, that I all I had to do was key in the default number. "I followed the instructions and was able to hear my messages. It was easy and had taken just seconds." Mr Nott added " Afterwards I thought that anyone with my phone number could get into my messages just as easily as I had. "Mr Nott, whose marketing work in London is so sensitive that he doesn't want his full Cwmbran address to be published, complained to Vodafone bosses. The angry marketing man even contacted the British Intelligence Service Mi5. He said: "Vodafone has millions of users, and many of them will be MPs and High ranking government officials, people with highly sensitive information at thier fingertips. "I thought it important that the intelligence service should know about this. Unauthorised accessing of someone's message service is on par with tampering with their mail". 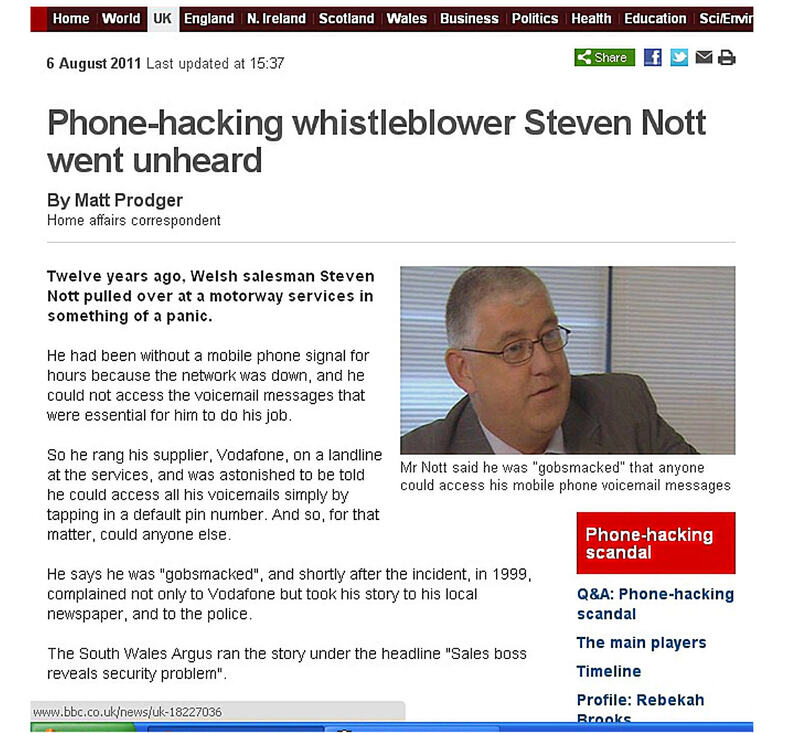 The Argus put Mr Nott's claims to the test and by following his instructions we were able to access a Vodafone user's personal message service. In this case, it was with the subscriber's permission. But it proved the point. Anyone can do it. A Vodafone spokesman also conceded it was possible. But he added: "Subscriber's have the facility to change the default number and set up their own PIN number. "If they don't, I suppose they are risking the security of their message service". I discovered a risk in Vodafone Recall Service ( voicemail ) in early 1999. I attempted to get Vodafone to change their system because the security implications were enormous. Because Vodafone didn't see the risk I called The Daily Mirror and was put through to a Oonagh Blackman and explained the story and the problem I had with Vodafone and explained the serious implications of voicemail interception. I gave her the instructions over the phone, how to access Vodafone's Recall service using the default PIN. Oonagh Blackman from the Daily Mirror saw the potential for a big story and followed up with investigations by telling me they were accessing the voicemail of publicly profiled people and then calling them afterwards explaining how they'd accessed their voicemail and wanted to know what they thought, so they could run the story with lots of mobile user reaction. I was told by Oonagh, because of the amount of telephone numbers they had, it was a massive task and was taking longer than expected. I was told everyone in the office was on the story and were ringing everyone. After 12 days, Oonagh Blackman, said the The Daily Mirror wasn't interested anymore. I couldn't understand why seeing as I was told that most of the newsdesks resources were being used to cover the story. We had an argument over the issue of not going to print. A payment of £100 was sent to me for the story which was never published. 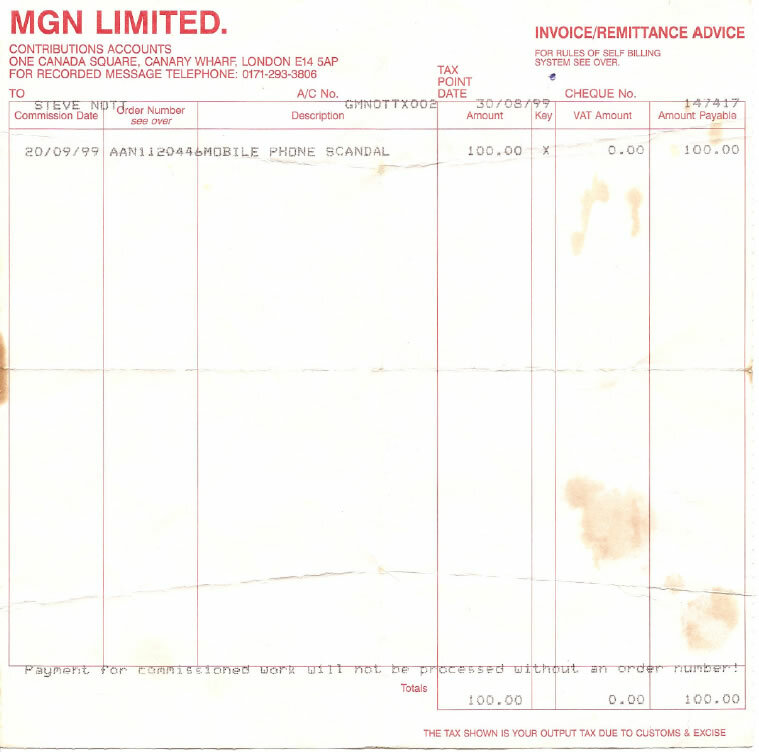 I received remmitance advice with the cheque dated 30th September 1999, titled 'Mobile Phone Scandal'. See below for scanned image of invoice. I went to The Sun newspaper in Wapping and met with Paul Crosbie Consumer affairs. Told him the issue, and told him about the Daily Mirror. Paul Crosbie said they would go to print as it was a big story and couldn't believe The Daily Mirror hadn't run with it. Nothing was ever published. I called and wrote to New Scotland Yard expressing my concerns and telling them I may have inadvertently giving 2 tabloids an easy way to get news scoops. I never had a reply. I called and wrote to the DTI in Victoria and the Home Office explaining the same. No replies. I started to call every National newspaper to explain what I had done. No stories printed. Until May 2000 Mail on Sunday. See below. I called The BBC and they got me on Radio 5 to talk about the security issue with Vodafone. Mike Caldwell from Vodafone was the spokesperson from Vodafone's Newbury HQ. It was was Fi Glovers show and aired on 22nd October 1999 at approx 1345 hrs and the interviewer was Adam Kirtley. Vodafone didn't want a fuss - They were going through a takeover at the time with Mannessman, the German Mobile group. I guess any bad press at the time wouldn't have been good for the deal. BBC also filmed me in their Blue Peter garden for when the news broke as they said there's no way it would be kept quiet. Too important. Nothing happened after that. I kept in touch with Nicola Carslaw at the BBC for some weeks afterwards. I called ITN spoke to Chris Choi, who was very excited. A news crew was sent to film me at my house. Chris Choi said it could possibly be in the evening news that day. Nothing happened. Called Chris Choi, he wasn't interested anymore. The South Wales Argus ran a story about me and what I'd discovered. This was October 13th 1999. They ran a story based on the security loophole at vodafone. Article above. I called my MP Paul Murphy. He didn't want to know and said it had nothing to do with him. This was in early 2000. I wrote to the DTI again for fear that the The Daily Mirror who had problems with insider trader dealing with James Hipwell and Anil Bhoyrul ( The City Slickers story ) I thought there could be a link with share trading and the phone hacking method. This has not been proved. In 2005/6 two people were arrested and imprisoned , Glenn Mulcaire and Clive Goodman. I thought that was the end of it and decided not to get back involved for fear of another breakdown. In late 2010 problems in the news again with News of the World and Andy Coulson and newspapers and TV companies saying phone hacking started in 2005 etc. I decided to call Operation Weeting and explain the information and evidence I had. I proceded to call newspapers etc and tell them my story. None of them seemed interested even though phone hacking was becoming the top news agenda quite often. I then started to call solicitors of those people apparently been phonehacked so they could know about my efforts to raise the alarm in 1999. I was invited down to Mayfair in London and made a statement to a solicitor for one of the civil cases sueing Newsgroup newspapers ( Murdoch ) and Glenn Mulcaire. George Galloway was the civil case who recently won settlement from news group newspapers. Operation Weeting interviewed me on 18th July 2011. I told them my story. Operation Weeting explained my information may be important in the investigation. Because the newspapers weren't interested but social media were, I set up a website/blog in mid July 2011. I had a lot of interest on twitter but also a lot of non believers. Lord Justice Leveson asked people to come forward before 31st August 2011 on national television.So I emailed them with my information. This was for the public inquiry due to start in september 2011.
http://www.independent.co.uk/news/media/press/this-scandal-is-all-my-fault-says-salesman-2332669.html and Private Eye magazine. Thanks to them my story has finally received widespread global interest. I then found more information in my attic, ie Mirror Group Newspapers Ltd remittance advice and contact names and numbers for the 2 tabloid contacts Paul Crosbie and Oonagh Blackman. Paul Crosbie has confirmed my meeting with him however I am unable to contact Oonagh Blackman from The Daily Mirror. I have sent these extra details on to Operation Weeting to help them further in their investigation. I have been in touch with many people involved in the phone hacking scandal including Chris Bryant MP, Tom Watson MP, Therese Coffey MP, Rt Hon Lord Prescott,l Alastair Campbell and countless other people in the public eye. I appeared at Leveson Inquiry 6th December 2011 at 10am and finally got someone to listen. In 1998 I worked as a Salesman for a food manufacturer that delivered it's products all over the UK and my main target area was central London and the city. I was very productive and had a lot of success with the company and on a daily basis received up to 10 new orders per day from customers I'd previously seen. These orders needed to be progressed quickly, phoned in to the office, and delivered to the customer within a 3 day turn around so it was imperative I got the orders in on time each day. During early 1999 the Vodafone network had a problem and 'went down' for a few hours. I was driving along the M4 at the time and couldn't get a signal as there was no network available.After the situation hadn't changed for some hours, I stopped at a service station and decided to make a call to the Network operator Vodafone. I explained my circumstances and the need to get to my voicemail asap to further my customers' orders. They explained to me that it wasn't a problem and explained to me that I could access my voicemail messages from any other phone, landline or mobile. They explained to me that once you've called your own mobile number, once you hear. " Please leave a message after the tone", the operator said to press 9 and then key in my PIN number. I said the PIN number for my phone, and she said "No ,you have a PIN number for your voicemail and as you don't know about it then your's will still be the default 3333" Ok. I said to the operator, that it all seems a bit 'easy' to access and mentioned the fact that I could do it with anyones phone then. She said " yes i could, but I wasn't supposed to" and that's only if the PIN number was set on default. At the time, it was not common knowledge to anyone about PIN numbers for voicemails. Most people then didn't have a clue. As long as the mobile phone you were calling was switched off or 'busy' then you would be able to access email immediately. If you pestered the person with enough calls, they would switch it off anyway so making the hacking so easy. 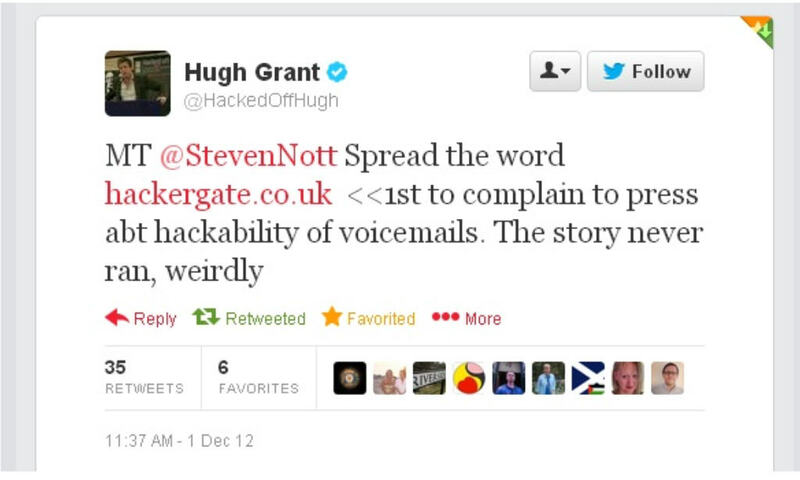 Ok, so you've heard it all before, voicemail phone hacking news stories going on for some years now and still currently causing a nuisance to celebrities and politicians alike and now Scotland Yard are having to backtrack and invest more time into something that seems like it won't go away. I was gobsmacked by the way, that it was so easy to be able to do this and spent the next couple of months having fun and games with my mates phones, work colleagues phones and so on. Yes, I was hacking phones too ... but not for the reasons the press were. I realised that this issue of easily being able to intercept voicemail, change welcome greetings, delete messages and change the voicemail PIN was too serious to play about with and decided to make some noise about the risks to National Security I'd stumbled across. I called Vodafone and told them of my worry. They weren't helpful. I called them on various occasions explaining my concerns and still no joy. Vodafone told me each time, that the instructions for the voicemail PIN security number were in the handbook that came with each phone. I could not find any handbook anywhere that this was the case. All of the instruction manuals for Vodafone mobiles had the basics but nothing about voicemail security and changing a default number. ( I have recently asked them for more information relating to this matter for the year 1999 ). The mobiles that we were using in our company were all company phones and there were loads of them. The phones were just handed out and used and often moved from one person to another as staff started and left the company. I made a point of investigating what Vodafone had told me at the time and found out that no-one knew about voicemail PIN security because no-one had a handbook or instruction manual that explained this. Now I was chomping at the bit and decided that I wasn't getting anywhere with Vodafone and took matters into my own hands and changed my plan of action. I wasn't going to let this go. Just to note, Vodafone were in the process of a takeover bid with Mannessmann, the german mobile giant. I don't think they wanted anyone causing a fuss. I was also speaking to the Orange press office at the time regarding voicemail interception and ruled them out of the security issue. I made a list of how it could affect the public and also the security implications on important people ie the Royals, Politicians etc. The fact that people could be tracked by monitoring their movements through listening to their messages. Not only could you intercept voicemail in the UK from any mobile network or landline, it didn't have to be from this country. In fact, it could be done in any other country providing the mobile number was on the Vodafone network because Orange had a completely more secure system. I was in London and made a phone call to the Daily Mirror and was put through to the newsdesk. I explained to a lady at the newsdesk that I had a story. This lady called herself Oonagh Blackman. She was very interested and after giving her the instructions to listen into voicemails she said it's possibly going to be one of the biggest stories that decade and would make front page and couldn't believe how easy it was to do and the fact that nobody knew about it. She said they were going to try it out for themselves and see how it all works. I called Oonagh Blackman, at the Daily Mirror a few times and she kept saying they were working on it and to be patient as it was going to be a massive story. They told me that they had 'everybody' onto it as they had a massive bank of phone numbers and were ringing everyone to get their reactions that their mobile's voicemail had been tampered with. They said it was a massive story and was taking a long time to get through the numbers. I had almost daily contact with Oonagh Blackman at the Daily Mirror's newsdesk. Blackman, at the time, was Piers Morgan's Special projects Editor and went on to become Deputy Whitehall Editor and eventuaklly Political Editor for the Mirror. Twelve days went by, still waiting for front page headlines as promised, I rang Oonagh Blackman up and she said they weren't interested anymore. I was amazed, one minute, massive news story promises and excitement then 'nothing'. We had an argument over the phone and was threatened by Oonagh Blackman, with lawyers and court action because I had accused her and The Daily Mirror of using the voicemail interception method for themselves. It didn't take me long to realise 'What I had done ?' I couldn't believe I was so stupid to tell a national newspaper how to get hot news for free just by hacking into someones phone. I was on a campaign to raise public awareness and it was backfiring. I then contacted Paul Crosbie - Consumer Affairs correspondent at The Sun newspaper and explained to him about the story but didn't tell him how to do it. He was very curious and called me in for an appointment in Wapping, News International. I met Paul there and explained to him the whole story and the fact that I had told the Mirror newspaper and he was astonished with the whole thing. firstly, he was gobsmacked and very excited at how it could be done and also shocked that the Daily Mirror had the information from me 12 days earlier and said "I can't believe the Mirror would keep something so quiet being such a massive story of national importance". Paul asked me to demonstrate how anyone's voicemail system was accessed and called some colleagues in the office, asked them to not answer the next call so I could call them and show him. Paul Crosbie explained to me that it was a great story and thanked me for coming to see him and expect the story to be in the paper within 48 hours on the front page. He said I was going to be a public hero because of the risk to National Security which I had brought to the media's attention. Guess what.....no news story, not a dickie bird. I couldn't get hold of Paul Crosbie again after the first meeting. I've had communication with Paul Crosbie recently and he says I never spoke to him again after that but he was always available. Maybe, I was just unlucky at the time and just couldn't catch him in. I only tried a few times as I thought to myself at the time....'Oh no, what had I done.....I've told another newspaper now and I was making it worse'. Paul Crosbie confirms everything in my story and agrees that something should have been done about the problem and that he'd never heard of 'voicemail hacking' before. I was on a campaign to undo what I hade done. I was on a mission to head up a public awareness campaign and even moreso now seeing as I'd told two newspapers how to intercept voicemail on anyone's mobile phone. I then contacted the BBC. I was invited into an interview, was filmed on Percy Throwers bench in the Blue Peter Garden and also ended up on Radio5 Live on a Friday afternoon with a communications spokesperson from Vodafone in Newbury.The radio show aired at approx 1345 hrs october 22nd 1999 and the presenter was Adam Kirtley. Vodafone's Mike Caldwell, in the interview, said they didn't know why I was making such a fuss as it never has and never will cause a problem. How wrong could they have been ? The transcript is available from the radio show on request. I also spoke to Chris Choi from ITN and he was very excited also about the implications and massive security flaw. I had an ITN newscrew at my house the same day and was filmed in my back garden about the story. Chris Choi said it was going to be breaking headlines. Guess what.....nothing happened. No broadcast, nothing. I also got into trouble from work as I contacted 'David Ford' who was CEO of Gardner Merchant at the time. I had his details because the company I worked for had recently entertained him on a specail sports day out at the Cardiff Millenium Stadium in one of those corporate boxes. I rang him to tell him that there could be a security flaw within his company regarding mobile phones and just wanted him to be aware. I was pulling my hair out with frustration. Everyone I spoke, everywhere I went, I got the same reaction, yes, good story, we'll run with it. So everyday I was expecting to see the news break into the public domain. Everyday I waited for this for nearly months and months. My last resort was to contact The South Wales Argus, my local newspaper. I called them and had a half page spread about Vodafone security and voicemail interception. This was 13th October 1999 and is shown further at the top of the page. This was some time after I first discovered the security risk that my local paper got involved and ran a story. I had a massive sigh of relief when this came out because I thought I was literally 'going mad'. At the time, I was working full time as a sales rep for a local food company and was getting deeply engrossed in trying to 'save the world' and eventually it took it's toll and ended up having a breakdown. Ok, perhaps not a good idea to bring all of this back up again, but life goes on, we grow stronger and we get older and wiser. My father also died in April 2000, I lost my driving licence due to speeding, I lost my job and my £15000 sales bonus which I'd already earned but my bosses wouldn't pay and everything I think, finally made me 'breakdown'. I do think that with everything happening all at once caused me to have that breakdown. I didn't even fight my employer for my sales bonus come April 2000 because I didn't have it in me to take part in another battle. I just couldn't do it, I was worn out. In fact due to the stress I was suffering from and taking my dying father's advice, I consulted my doctor and a psychiatrist. Here below, is a diagnosis of my mental state at the time and take note of the 'delusional beliefs' remarks. Basically, the psychiatrist didn't believe a word of what I'd got myself involved in. I always wanted the public to know from the very outset, I tried my hardest to get the press to take the story and failed. I'm now making it my mission to make sure everyone knows that I tried and nobody helped apart from the BBC. What the others did with the information beggars belief. Nobody seems to be interested how it all started. We will never know, but one thing I'm sure of, I did tried to stop it. What worries me most now, is that whilst the newsflash broke about 911 and the towers being hit by planes and had not yet collapsed.....how many journalists or private investigators/reporters thought..... 'I can hack into their voicemail and see what messages are being left'. It wouldn't have been difficult, in fact would have taken seconds. All you would need to know, would be the names of the companies in the two buildings, and some members of staff and their numbers.They may have already had that sort of information at their fingertips anyway by then. Also, Vodafone are a big problem in all of this as they didn't, and wouldnt change their voicemail systems from default until 2003. By then, there could have been thousands of Vodafone mobiles already hacked, and whilst their voicemail had been accessed then the PIN numbers had been changed from the default 3333 to something easily memorable by a journalist/reporter. When Vodafone changed their system, it only affected new phones, and phones that hadn't had their default PIN numbers already changed so there were possibly thousands of phones still out there after 2003 that could still be accessed because they had been changed without the user knowing. No wonder some of the press have been accused of phone hacking because it was such an easy tool to use and a brilliant way of gaining insider information and also monitoring the movements of anyone. So, anyone with a phone that was hacked and they didn't know was hacked, and had their PIN changed, weren't included in the new 2003 ruling that Vodafone brought out. In 1999 when I was trying to raise the issue with Vodafone, they said 80% of all mobile users had changed their PIN. What they didn't say was that the PIN may have been changed from default but didn't say who changed it. BT Cellnet also had this issue in 1999 but changed their system and made it a lot more secure. When I called my MP Paul Murphy in early 2000 explaining to him the problem I had was, and the difficulty I had in trying to uncover a massive risk to National Security, Paul Murphy MP, said "This has nothing to do with me, why are you ringing me?" and put the phone down. I felt let down by the whole system. I will never forgive them for that because it made me ill with the stress and the frustration of no-one believing what I'd stumbled across. When I called Paul Murphy MP, he was Secretary of State for Wales. He was Secretary of State for Northern Ireland from 24 October 2002 to May 2005 and became Chairman of the Intelligence and Security Committee in May 2005. Maybe he was very busy and thought it was a crank call. Who knows ? The photo above is a letter from John Prescott. I wrote to him in the belief that the more people I contact the better my story will get aired. It writes ' I have passed your letter on to the investigating office of Met Police now investigating Mr Yates and his activities. Sue Akers heading the Operation, I believe, will sort this whole mess out however she is to retire after the 2012 Olympics. This is difficult because it was a while ago and I cant remember whether I asked about the story when it didn’t make the paper or whether I just went on to the next story. I did write it up and remember contacting Vodafone and I think other phone companies for their comments. I remember Vodafone referring me to the instruction book that came with their phones which mentioned that people should change their password. The way the system worked was I would put a story idea up to the news editor. In your case it would have been the following day or the day after you came to see me – I needed time to look into your claims. If the news editor liked the story it would go on the morning newslist – this is basically an agenda of the days news. The news list is then discussed in morning conference and stories would be allocated to the paper. I am guessing now but I would have thought that this story was on the newslist or I wouldn’t have written it – or at least been enthusiastic about it. If the police or an inquiry wanted to look into this that newslist should still be around. The story would be written (again that should be on file as everything was computerised and kept for legal reasons), it would then be sent through to the news editor who would check the story was as earlier sold to him, he would then sent it through to what is called the back bench. This is copytaster for the paper, who is making a judgement on the value of stories, the editor, deputy editor and the night editor, who decided what space is given to the story and allocates a page. It was possible to follow a story though the system and see who had looked at it and if it wasn’t to be used where the story had stopped it in the system. It could be the news editor because he didn’t like it, it could be the back bench – if it got that far then you assumed it was because they had found a better story. The Sun overall used around 50 stories an edition of which maybe 20 were given prominence in the paper – the rest would be cut back to a few paragraphs. My story would have been completing for space with one of the 20 as it needed space to give all the facts. I dont know if I checked where the story had got to in the system or whether I enquired what had happened to it. Sometimes stories that were squeezed though it being a big news day would be put forward again. I don’t know if this was the case. The tenure of the story would have been Phone users are warned messages left by callers can be listened in to. The lack security has been revealed etc......I wouldn’t have mentioned the police or the security services. Maybe you find it odd that I wasn’t more curious about the story. The Sun was a difficult place to work. I was brought in to give it a different focus from the usual crime, politics, showbiz and scandal stories. My job was to write about everyday issues that were of interest to readers and the problems they faced. It was a new job so you were always struggling against those who were more familiar with the usual type of Sun story. If a story wasn’t used you simply went on the next. I don’t know whether the information you gave me led to today’s events. I only know I wasn’t asked to demonstrate the flaws to anyone. The Sun and other papers did use ex policemen and investigators to help but no one ever talked about the details of how a story was obtained and you didn’t ask. Yes you knew of sharp practices but nothing illegal as this clearly was. I said to Channel 4 and the One Show they were free to contact me again. I think the rapid change in events in recent days meant your story would be overtaken. As you say someone may do a book on this and there may be a Tv documentary but because of the police and official Parliament investigation, this will not be for some time. I honestly don’t know whether you unwittingly started this. To my mind it would seem extraordinary that others didn’t know about this flaw in the mobile phones system, especially former policemen. My opinions at the time were the same as yours that the Police and Security Services could be using this, it never occurred to me that it could be used in other ways. As far as I can remember no one ever asked me to demonstrate the technique. I’d never heard of this before you came to the office. I don’t know why the story wasn’t used, I only rarely questioned decisions, you just got on with the next story. David Yelland who now works for a big city pr firm Brunswick. Andy Coulson was also on the Bizarre column. I met with my local MP Paul Murphy ( labour ) this morning at his constituency office in Pontypool. The meeting was planned for 11:10 am and I got there a little early, as always. I hate being late. I arrived at this quaint little cottage decorated in cream and red and thought "there's nice", what a lovely little house to live in.Anyway, I buzzed the door speakerbox and was allowed in. A nice friendly atmosphere inside greeted me and along with some of the staff. I was introduced to Mr Murphy and was invited into his office. "What can I do for you"? said Mr Murphy, as he was reading an email I'd sent a while back requesting his help in getting my information to the Leveson Inquiry. He was shuffling through my paperwork as I explained to him about what I was trying to do 12 years ago and ended up hittings walls of silence almost everywhere I went. 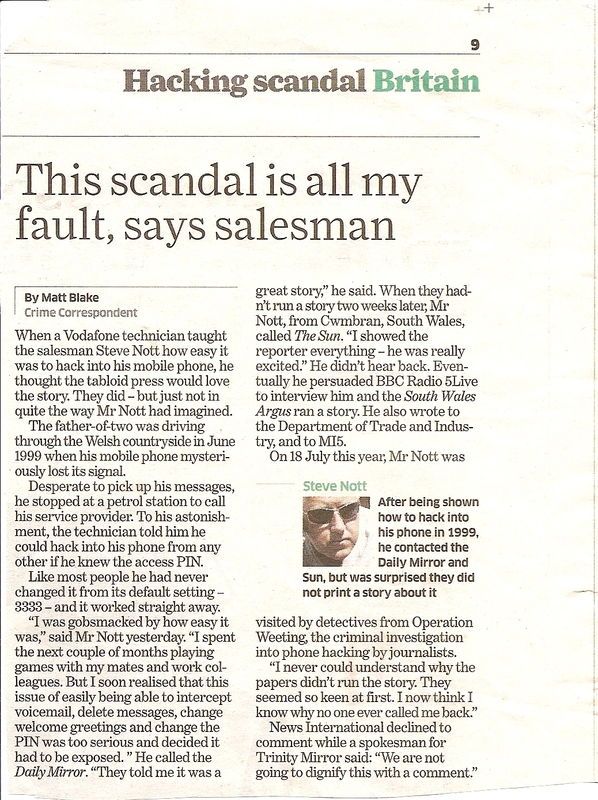 I explained I was trying to raise the alarm about voicemail interception in 1999 by trying to expose Vodafone and their shoddy security and then because of my campaign backfiring I then had to try and expose The Daily Mirror and The Sun newspapers. I asked him if he remembered my phone call from early 2000. He said no and there would have been no way to even find out as his records didn't go back as far as then. He didn't seem to knowledgeable about the phone hacking scandal so I had to explain what I had been trying to do in some considerable depth. He explained to me that some systems would have to be in place so GCHQ etc could monitor terrorism etc. He said it's common knowledge now but couldn't believe that anyone could have done it way back then. He said that you would need special permission and Government consent to be able to access voicemail in 1999. In fact you need special permission to do it now, "even I'm not allowed to do it unless I get special permission" If he did it now, he said it would be illegal. He said he doesn't remember my phonecall in early 2000 telling him about the threat to national security. Anyway, we had a good half hour talking about the the whole scandal. He agrees with me that Vodafone could have done a lot more to prevent this from going on. He said he was once chairman of The Intelligence and Security committee, "spy stuff", he said, and would do what he could to support me. He said he would be writing a few letters to some important people on my behalf with his backing. He asked me if that's what I wanted from him. He said that he would be writing to The Leveson Inquiry and to The Metropolitan Police with some questions. He was very interested in the fact that Vodafone gave me the technique to access voicemails so easily over the phone. I was surprised at him about this reaction, and thought, how else would you know how to access your voicemail unless you asked customer service anyway ? I think he was thinking about how easily it could have been done and he worded it incorrectly. He was very interested in The Mirror group newspaper Ltd invoice dated sept 1999 and titled 'Mobile Phone Scandal'. He couldn't believe the fact they paid me for a story that never was. Paul seemed puzzled as to why they didn't actually run the story and pulled it. I asked him about Oonagh Blackman (Daily Mirror) being a Special adviser (spad) for Shaun Woodward MP from 2007 and said he was seeing Shaun Woodward MP next week for dinner and would also ask him why he hasn't replied to my emails. I explained to him that the person I had contact with at The Daily Mirror called herself Oonagh Blackman and that we ended up having an almighty bust up on the phone after I accused her and The Daily Mirror of not going to print so they could use the voicemail interception method for their own gains. I explained to him that I was threatened with lawyers and court action if I said anything to anyone. I told him that frightened me but wasn't going to be bullied by some deceitful journalist and took my story straight to The Sun newspaper at News International in Wapping. I explained that Rebekah Brooks (then Wade ) was Deputy Editor at The Sun and Andy Coulson was on the Bizarre Column also. I then told him about The Sun's initial excitement and the fact they also 'pulled' the story for no reason. He said " Sounds like both newspapers, were keeping it for themselves to use". I totally agreed with him. He did say that he possibly met Oonagh Blackman once. He was interested that Operation Weeting had interviewed me for 3 hours, however, I had to spell 'Weeting' out to him, it was like he'd never heard of it before ! What do these politicians do all do, keep up to date with the news or not ? It amazes me. There again, not all politicians keep up to date with the phone hacking story because they've probably got a lot of other stuff to do. My wife did say to me afterwards "well he is getting on a bit now and doesn't need to be involved, he'll be retiring soon". My wife is always right ( to a point ). I talked to Mr Murphy about the 9/11 issues and how easy it would have been for voicemails to have been hacked within seconds. He agreed that some journalists wouldn't have been able to stop themselves from accessing their voicemail given half the chance. Seeing as it was so easy, they'd phonehacked everyone else. I said to him "Can you imagine being a reporter, having that phonehacking method at your fingertips, watching that dreadful day when the both Towers got hit, saying to yourself "I won't access their voicemail, It's too naughty". he agreed with me. Paul Murphy took copies of my Daily Mirror invoice titled Mobile Phone Scandal, a copy of The South Wales Argus newspaper clipping called 'Anyone can hear private messages' and also a copy of the newspaper article from The Mail on Sunday dated May 7th 2000 titled 'Mobile phone snooper scam". He agreed with me that quite a lot had been done to expose the risk to voicemail interception and nothing had been done to prevent it. I explained to Paul Murphy about my letter that I sent to New Scotland Yard, the Home Office and the DTI and showed him the contents of the letter with a whole list of warnings laid out detailing the security implications of voicemail interception. I told him that a copy of it had gone to the Leveson Inquiry and it wasn't available to the general public, yet. The reason the message systems are vulnerable to eavesdropping is that all new BT Cellnet and Vodafone mobile owners are given the same four digit access code. A MAJOR security flaw in britain's mobile phone system can be exposed today.A special investigation by The Mail on Sunday reveals how millions of mobile users could, without their knowledge, have their private messages accessed by strangers.The onus is on individual users to input a new code. The vast majority of phone owners fail to do so - almost always, The Mail on Sunday has discovered, because they are simply unaware that such action is necessary.However, growing numbers of fraudsters, crooks and stalkers do know the secret. And it enables them effortlessly to access the sensitive phone messages of countless thousands of unknowing targets.All subscribers are vulnerable, including Cabinet Ministers, MP's, VIP's, businessmen and showbusiness personalities. In the City, financiers say they are horrified after discovering how easy it is to be 'bugged' by predators trying to get advance information about share deals and mergers. A team of Mail on Sunday investigators accessed the mobile messages of 12 VIP's within seconds. They thanked us for alerting them to the problem - and joined calls for better warnings to be given by phone companies. One Cabinet Minister whose messages were insecure was David Blunkett, the Education Secretary. He said: "It is a very sensible warning and I will certainly be changing my code immediately. "I am surprised to hear anyone could listen in to my messages but on reflection it seems obvious and I ought to have known. I am kicking myself for not realising". Employment Minister, Tessa Jowell said "I shall change my personal access code straight away and thank you very much indeed for tipping me off". "I think it's worrying and it is very important when people buy mobile phones, given that thousands and thousands and thousands of people every month buy them, that this kind of advice is provided." At present, mobile phone companies include instruction leaflets on how to change access codes from the pre-set 'default' number. The Mail on Sunday has learned, however, that these leaflets are not always sent to customer's automatically. Vodafone admits that customers often have to specifically request the leaflet detailing the procedure. It has had complaints from customers whose private messages have been changed. Industry insiders say only about ten percent of mobile owners bother to change the code once they get their phone, leaving more than 20 million users at risk. Users of Orange and One2One networks are unaffected, because subscribers are not given a universal default code. They have to call a number and key in their own code in order to access the message system. But for users of the two biggest networks,the security implications are startling. Our investigation began after we were contacted by a concerned City businessman who has worker for major merchant banks for more than 25 years. The businessman, who has asked for anonymity, told how he had been shown the procedure by a contact and was horrified. Later, when he realised it was already being used to eavesdrop on multi million pound deals and mergers, the City figure warned a wide circle of friends who, like him, immediately changed their mobile messaging service access codes. Later, he showed us how it was done. And, with prior agreement of his friends, we rang them, used the standard access code and listened in as their messages played. They contained a variety of personal and business messages, which, to an informed eavesdropper, might have been useful in making a profit on investments. Our financial consultant revealed how he had 'Put the Fear of God' into a friend who is chairman of a leading City bank after he allowed him to access his messages. He said: "The look on his face was one of total shock. He realised that he often talks business on his mobile and that somebody could access sensitive information that might affect huge deals". The security of an alarming range of public institutions could be similarly compromised. Royal and Ministerial secrets could be discovered, for example, and the lives of military personnel could be endangered, or even lost, if details of forthcoming operations were divulged. Once the messaging system is accessed, infiltrators can also change the owner's code while they are on the line so that the subscriber would henceforth be unable to hear their own messages. Also, the illicit caller can delete messages once they have been played back. We accessed the message systems of Gerald Kaufman MP, who had nine messages that he had already heard. Although our reporters did not listen to any messages, we could have accessed all of the voice recordings. When told of the loophole, My Kaufman said: "Goodness me. This is a matter of considerable concern and I'll have to think seriously about changing my security number in the light of what you have told me. Thank you very much". BT Cellnet said it included instructions on how to change access codes in it's customer booklets. A spokesman said that instructions on how to use its messaging functions were included in the standard issue booklet How to Get The Most From Your Mobile Phone. "Like many other consumer products there is a default setting to get people started. We recommend in the literature that people change this number to a personalised one as soon as possible." Vodafone issues a separate booklet about its Recall service. Customer service operators for Vodafone connect, which supplies service providers with literature to send to subscribers, admitted that the book on it's Recall messaging service is not always included and needs to be expressly requested. One added: " We have had complaints from people who have had their mailboxes accessed and the messages changed by other people. "A spokeswoman for telephone watchdog Oftel said last night: "This may be something which we need to have a look at. 'If companies are not providing sufficient information, then that is something we might want to have informal talks with the mobile phone companies about'. Any confused customers should contact their phone company.......but don't leave a message. We asked a team of reporters to call the rich and the famous in order to test properly the flaws in the mobile phone system. Out of 32 numbers called, we accessed the mobile message systems of 12 people. In every case, we ended the call before the messages actually played. Those whose message systems were accessed were yachtswoman Tracy Edwards, actor Shaun Scott, from The Bill, PR guru Lord Bell, author Edwina Currie, Education Secretary David Blunkett, Employment Minister Tessa Jowell and MP Gerald Kaufman. Tracy Edwards said "Oh, my God, I never knew" 'I am very surprised at the news. They don't tell you, do they ? But it certainly makes sense to change your code" Shaun Scott who plays DI Chris Deakin in The Bill, said " I had no idea that anyone could listen into my messages by just tapping in a simple code. 'But I suppose, in this high tech electronic age, anyhting is possible. I will ceratinly be changing the PIN code. Lord Bell, who had no messages, said " Nobody ever leaves sensitive messages on my phone. If they did, I would use a different system. Former Tory Minister and best selling author Edwina Currie had four messages. Though it would be irresponsible to divulge the access codes, entering other peoples' message systems could not be easier. Systems vary slightly. But once you dial into the message service and tap in the code, you can listen in. To alter you code with BT Cellnet, dial, press button 8, insert a new code and repeat it. Vodafone's message security codes can be changed by dialling 121, followed by pressing 1 and 98. Managers at Dixons stores said they sold mobile phones from sealed boxes which had instruction books inside. They also handed out their own leaflets on operating phones. Carphone Warehouse, which issues user's guides with every sale of BT Cellnet and Vodafone mobiles said :"We urge customers to change their PIN numbers. If you don't put a code in, people can get into it. You would think that the first thing a celebrity would do would be to change their code, but many people don't bother". Below : is the front cover of the document sent to New Scotland Yard, the Home Office, the DTI and HM Customs. I will publish the full letter when Lord Justice Leveson has finished the phone hacking inquiry. Oonagh Blackman worked at the Mirror for Piers Morgan then went onto Government as a special adviser for Shaun Woodward MP in 2007 and was also the sister in law to the whistleblower, Sean Hoare who died in 2011. Why hasn't Lord Justice leveson called her to the Inquiry ? Why hasn't Shaun Woodward MP been called to the inquiry also to be asked about his special adviser Oonagh Blackman and the very fact she had knowledge of phone hacking at least 13 years ago ? There's a big gaping hole there and in my honest opinion, Blackman was close to the heart of the Labour side of Government pretty much the same way Coulson was at the heart of the Government and working for David Cameron on the Tory side. See,s pretty suspicious to me. I find it very odd indeed that these people could have been very strategically placed into these positions as if they were put there to influence the governments' future decisions. Who knows, I could be barking up the wrong tree. It's just my supposition that's all. After all, who would want to listen to me ? 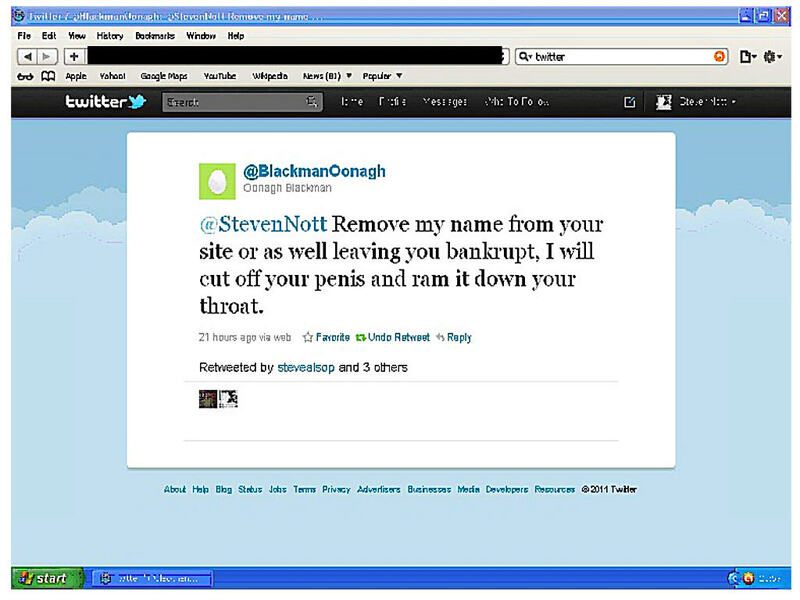 Here's a threat I had on twitter just as I named 'Oonagh Blackman' on my website as the person I had contact with from the Dail Mirror. Below : This is part of the transcript from The Leveson Inquiry when Mark Hugehes, Head of Vodafone Security gave his testimony. 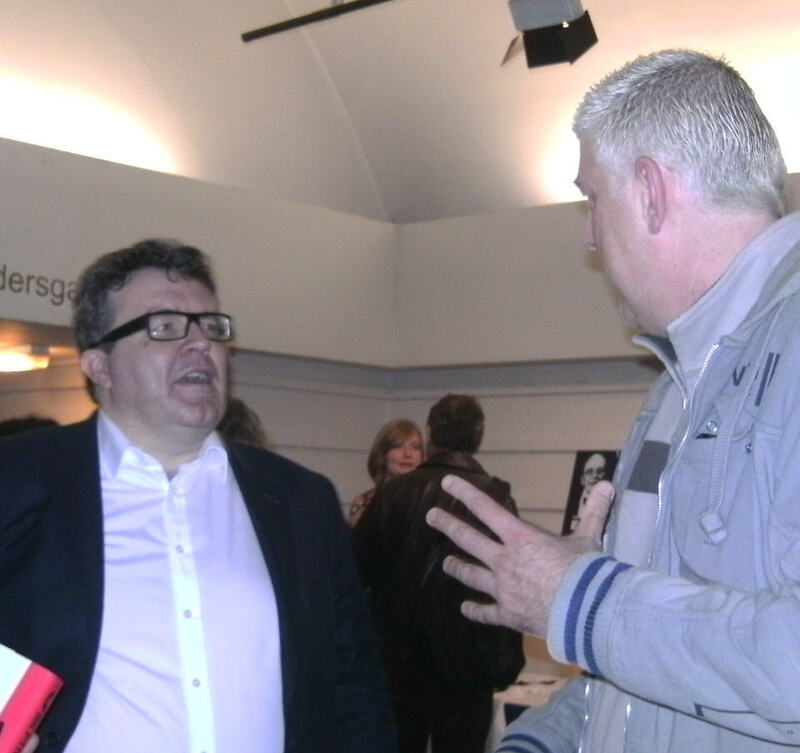 Below : Meeting up wuith Tom Watson at media Reform rally in Westminster organised by Hacked Off! Below : How Matt Blake from the Independent newspaper covered my story. I appeared at The Leveson Inquiry on the 6th December 2011 to swear under oath and give evidence relating to 'what I think' was a major cover up between Vodafone, the Authorities and the tabloids. We all know about it and many still don't know how it was done but it was easy but not widely known.....or was it ? Now, I'm not writing this blog about Piers Morgan and his 'squirming nature', I'm posting this because I'm not happy with the way the Leveson Inquiry has 'only touched the surface' of my evidence that dealt with Piers Morgans Special Projects Editor, Oonagh Blackman. You see, Ms Blackman , was my contact at The Daily Mirror during my campaign all those years ago and has not yet been called to the phone hacking inquiry to be asked questions or 'even to' defend herself from my allegations. Oonagh Blackman, was Piers Morgan's Special Projects Editor and would have had a free run of the Daily Mirror newsrooms. She gets contacted by a man claiming to have found a way to access Vodafone voicemail which could lead to 'free' scoops and tip offs. Anyway, I did go on my way but which way did Oonagh Blackman go ? During her time at the Daily Mirror working for Piers Morgan, she became the Whitehall editor, then the Deputy Political Editor and eventually became Piers' National Political Editor. Quite a title for someone especially when Morgan appeared to 'dumb down' her role and called her 'just a reporter' when he was questioned at Leveson. I've always found that a little suspicious. I'm pretty good at reading the nature and character of people and I do think Piers was hiding something. I just can't trust the man. Was it the fact that Oonagh Blackman was more than 'just a reporter' ?. Well, yes, in fact we know , she was more than that, she was promoted to Political Editor in May 2004 by Piers Morgan. It wasn't long after that though the 'Fake Sheikh' story got out and he was sacked. Moving on, Oonagh Blackman left the Daily Mirror in 2007 to become a 'Special Adviser' for the Labour Party. What was a very experienced Daily Mirror Political Editor doing, leaving a very successful career of 11 years and going into a world of Government ? I must say, she was in a perfect position to mix with everyone who had any status being a special adviser to an MP who held lavish parties to 2000 guests in lavish castles. Hmmm. I can compare Blackman to Coulson. Experienced, professional and very successful journalists working deep within both hearts of government. I smell a rat...or two. Why was the 1999 phone hacking story spiked ? Who were the people you contacted when you were 'researching' the phone hacking story ? What did you discuss with Piers Morgan ? Why did you leave Trinity Mirror and enter Government ? Why have you not yet come forward to answer any allegations ? Sean Hoare, a very respected 'hack' died on July 18th 2011. There were reports of his death in many newspapers as he was a 'whistleblower' and the events leading up to his death seemed suspicious at the time. Sean Hoare, worked at The Sun and News of the World with Andy Coulson and was the first named journalist to allege that Coulson was aware of phone hacking by his staff. His death came at a time when the phone hacking story was a 'daily frenzy' in the media and rumours were flying around about a whistleblower had died in suspicious circumstances. These rumours went on for a while but later on it was announced Mr Hoare had health problems and died as a result of long term illness and other related issues. Mr Hoare's wife Joanne came from a family of journalists. Her father Peter was said to work for the Evening Standard and her sister Oonagh Blackman, was a former National Political Editor for The Mirror. Where is Oonagh Blackman in all of this ? A life of journalism, an experienced 'editor' and yet no appearance at the Leveson inquiry. I had my time at Leveson and exposed a story that should never have been buried. I'm no missing link in any of this. I merely tried to stop something that I could see as being a big problem in the future. Unfortunatletly, embarassing for some, no doubt, seeing as people are paid to do that sort of job ie, the remit of a government 'Director of Communications' perhaps....oooh hang on, Andy Coulson had that role. Just touching on the Coulson bit for a moment. When I visited The Sun at News International HQ in Wapping in the summer of 1999 to expose the Vodafone / Daily Mirror voicemail interception story, Rebekah Brooks ( then WADE ) was the Deputy Editor for The Sun and Andy Coulson worked on the paper's showbiz column, Bizarre. 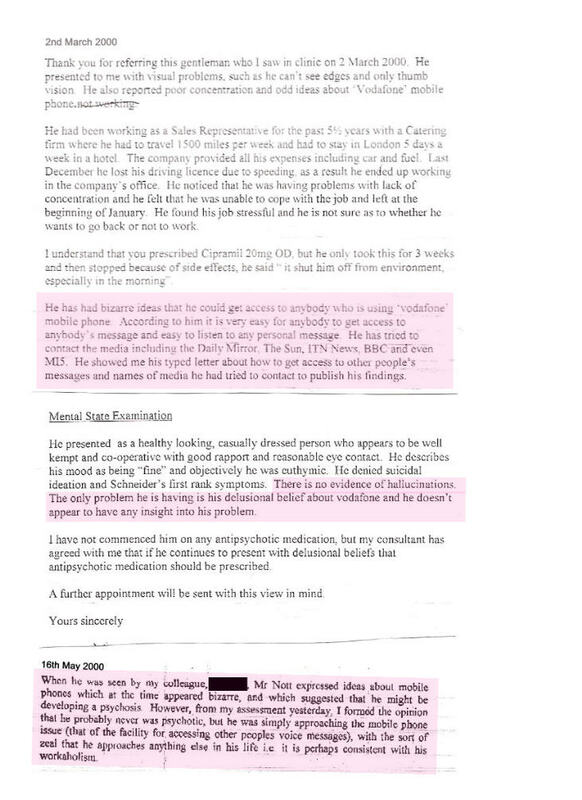 If you're still interested and want to read more, check this link out below where you'll find that Mirror Group Newspapers are also caught up in their very own phone hacking scandal....and my evidence get's a mention on pages 25 and 26. It makes very interesting reading. If for any reason you need to contact me please find me on twitter @StevenNott - the feedback form that was here has been removed because people have been sending me fake legal threats. This site was set up on July 9th 2011 and I set up my twitter account on 16th July 2011.